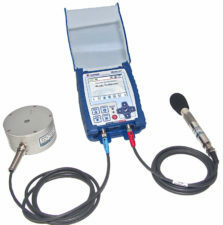 Introducing the new Micromate ™ Vibration and Overpressure Monitor. The Micromate ™ has redefined industry standards for functionality and ease of use. Micromate provides reliable regulatory compliance monitoring with an ISEE or DIN Triaxial Geophone and ISEE Linear Microphone. Small enough to fit in your hand, Micromate is the first monitor in the industry to provide a touch screen interface. Support of USB 2.0 allows use of memory sticks and approved external devices such as USB hubs, modems, printers and GPS. Ruggedness and reliability, cornerstone attributes, are designed in. View PDF Datasheet below. Some browsers do not support this function, you can Download Here.